Hammr+, Virtual Organ from Sound Dust. 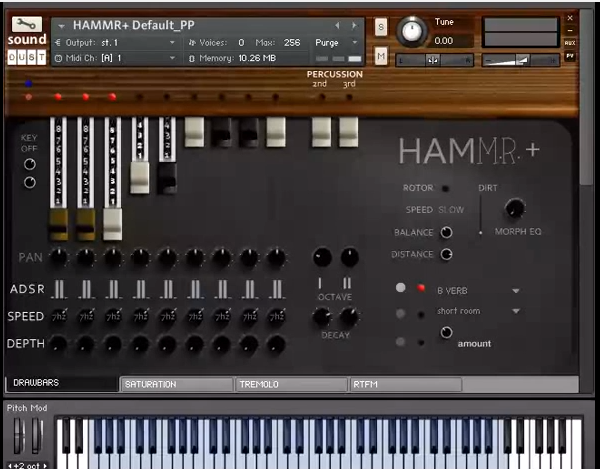 Pendle Poucher, aka Sound Dust, released a new collection of Hammond B3 organ samples for Kontakt. Designed in collaboration with Mikey Rowe (Oasis, Sheryl Crow), the samples in Hammr+ were recorded at the Troyroom Studios in Brighton, UK, by Andy Britton and is part of the Hammr Suite Series. Sound Dust adds that the library gives Kontakt users additional possibilities compared to the classic use of an Hammond organ. 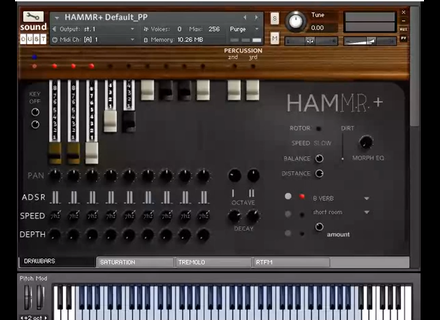 Hammr+ requires the full version of Kontakt 4.2.4 and later. The library is available for £30 and gives you a 10€ discount on the purchase of the MeldaProduction MVintageRotary. You can listen to demos at dulcitone1884.virb.com/hammr+. DrumTrunk, your drum sample e-delivery service DrumTrunk is a new company that is offering to send you each month drum samples by email. 40% off DiscoDSP Vertigo DiscoDSP is currently offering a 40% discount off its Vertigo virtual synthesizer. Garrigus.com announces SONAR X3 Power! SONAR X3 Power! is a comprehensive guide to deal with Cakewalk's SONAR X3 MIDI and digital audio sequencing application.